Teaching demands that we constantly assess who we are, who our students are, and how these reflections relate to what we do and how we do it. As an African American woman, my experiences with racism and oppression form a lens through which I experience and view course content, student interactions, and student-faculty interactions. As a teacher, my concern is to move students along the path of cultural competence (the ability to recognize and empathize with a wide range of human feelings, needs, and desires, despite the cultural barriers and challenges that various relationships may present) (Kiser 2008). The teaching of ethics—my major specialty—similarly calls upon us to explore who we are within the contexts of our experiences and suggests a developmental process, especially for students like mine, who are preparing to become counseling practitioners. 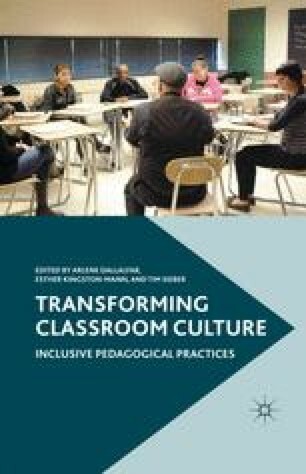 In the following discussion, I will explore the ways that particular approaches to pedagogy can support the work of moving students toward ethical and cultural competence.